How does one keep a fractured structure and still walk upon solid ground? Dan Allon, Tal Alperstein, Veronika Bökelmann, Katharina Kellermann, Guy Königstein, Felix Meyer-Christian, Moran Sanderovich, Nir Shauloff, Julia Turbahn, Arne Vogelgesang. Mendy Cahan, Hila Harel, Alexander Karschnia, Werner Konitzer, Avi Pitchon, Stefanie Plappert, Ido Porat, Naomi Yoeli, Arkadi Zaides. Lukas Welz (DIG), Aaron Roth (DIG), Young Yiddish Association, Uferstudios Berlin, the Team of Künstlerhaus Mousonturm, Sergio Edelsztein and the Team of Center for Contemporary Art. 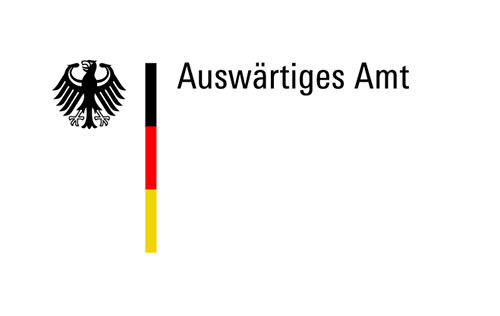 Federal Foreign Office of Germany, German-Israeli Association, City of Frankfurt Department for Culture, Young Forum of the German-Israeli Association, General Consulate of the State of Israel for South Germany, Naspa Foundation.